Farmers and educators have more in common than one may think upon first reflection. They are both humble professions, unsung heroes, and have the biggest impact on civilization. A farmer is responsible for ensuring high quality yield of food or animals for mass consumption. An educator, or more broadly an institution, is responsible for providing students with high quality curricula and services while producing graduates who are ready to contribute in a changing global marketplace. The shift from enrollment-focused metrics to completion metrics continues as tax payers want institutions to be accountable for the financial resources students to achieve their educational goals. They want to see tangible evidence of their return on investment. Institutions can demonstrate value through effective outcomes assessment plans. Outcomes assessment is not unique to institutions. In order for farmers to be successful they must perform continuous evaluations on themselves, their crops and animals, their production, and their bottom line. Similarly, institutions must consistently monitor outcomes, regularly review and update their curricula, and evaluate their sustainability to meet the growing demands of all stakeholders. Outcomes assessment is one of the main areas in which institutions struggle. By the time an institutions experiences challenges, it’s generally gained attention at the national level and is not presented in a positive light. So how do we reclaim the position of leaders in outcomes assessment and make it a part of every institutional process? The answer: by using a farmer’s perspective and approach. Got Dirt? – Farmers need good soil just like institutions need to have a solid foundation. An institution can have the best student services, the most responsive admissions department, and the brightest faculty, but if it does not have quality curricula which guides students in attaining the knowledge, skills, and abilities necessary to be successful, then the institution has bad soil. Similar to a farmer who has to rotate his crops to ensure nutrients are restored again, institutions need to consistently review their curricula to verify they are providing the “nutrients” students need to be successful. Got Water? – Farmers are constantly watching the weather. They are forced to make critical decisions based on past, present, and future weather conditions. The same can be said for institutions. Institutions need to be acutely aware of their target population and the external factors which are occurring not only within regulations, but also within the job market. Educational programs are designed to provide students the education needed to be productive and contributing members of society. In order to remain competitive, institutions need to look to the past and present in order to make predictions on the needs of the future. For both professions, this can be high-stakes gambling. Farmers and institutions are required to make decisions based on circumstances out of their control. Institutions need to be able to adapt. This is made easier for those institutions that have implemented an effective outcomes assessment plan. The plan provides the guidance necessary to eliminate some of the guesswork and make informed decisions. Got Tools? – Advancement in technology has provided farmers with tools and equipment to work more effectively and efficiently. With the increase in technology was an increase in population; however, without these improvements farmers would not be able to meet the growing public demand. Institutions experience the same pressure to innovate using technology—doing more with less. While technology has brought improved instructional delivery, faculty interactions, and accessibility, it has also brought an increased demand for accountability. New tools and additional equipment are welcomed by both professions, but the struggle now is over their most effective use. Institutions need to be able to evaluate their student population and services in relation to the tools and technology it uses to deliver its curricula. The use of technology in education needs to be meaningful. Ultimately, to be successful in either profession it takes full commitment and hard work. The recipe for success is 1) a quality foundation, 2) ability to adjust to external factors, and 3) consistent evaluation of processes and procedures. Most institutions that fail, do so because they lose their focus and purpose, but mostly because they stopped critically reviewing their programs and services thinking they are “good enough”. Just like the farmer needs to be consistently vigilant in protecting his crops against threats, an institution must be just as vigilant to ensure its continued growth and sustainability. An institution’s graduates are its biggest advertisement. A graduate’s success is equivalent to the prize bull winning a blue ribbon at the state fair. Fall is a nostalgic time of year. Kids return to school, football season begins, and the leaves start to change. Whether the temperatures have cooled down or not, there are few things that signal fall like the smell of coffee infused with cinnamon, nutmeg, ginger, clove, and a sweet hint of pumpkin. The marketing geniuses at Starbucks understand how to build hype. Beginning in early August, we start hearing the murmurings and anticipation of the pumpkin spice latte's reappearance. Similarly, a year ago, the news media was all a buzz with the idea that the beloved pumpkin spice latte was being refreshed. 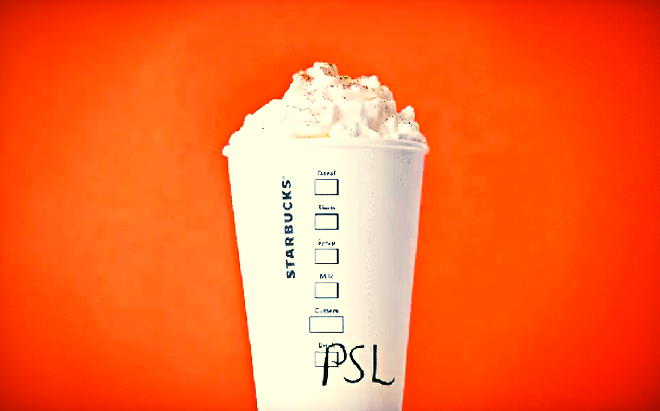 When the pumpkin spice latte joined the Starbucks beverage lineup thirteen years ago, customers rated the unique beverage in the middle. They neither loved it nor hated it, but what the surveys revealed was that people loved the experience of the warm beverage. So Starbucks continued to work on the recipe over the years, adjusting the spice and sweetness to strike the right balance while allowing the coffee to take center stage. After receiving feedback from customers and partners about their ingredients, Starbucks took a look at what made up the pumpkin spice latte and one year ago, made its fall debut using real pumpkin puree and eliminating the caramel coloring. Prior to launching the recipe in stores, Starbucks invited a focus group to taste test the updated product. Much to everyone’s surprise, the pumpkin spice latte tasted almost exactly the same which, according to Starbucks, was exactly the point. Peter Dukes, Director of Espresso and Brewed Coffee at Starbucks, said the goal was to make a “cleaner” version of the drink, not to reinvent it. While it may have a different name depending on the industry, all businesses conduct some form of outcomes assessment. Businesses are constantly trying to beat out the competition, but the really successful ones know that their greatest competition is themselves. To consistently, try and deliver quality products to an ever changing consumer population. Gathering Great Ingredients. An important part of the Starbucks story centered around the ingredients. As with most coffee companies 12 or 13 years ago, artificially flavored syrups were used to make many of America’s beloved hot beverages. Starbucks knew early on that their consumers loved the pumpkin spice latte experience, but not necessarily the taste. So they decided to review the ingredients from the lens of their consumers. It’s the same thing for institutions. With 3000 colleges and universities across the United States, there are institutions of all shapes and sizes. Many as we all know deliver the same programs, but usually what sets institutions apart are their mission and student population served. Every institution knows what sets their programs apart or how they are a little different and this is what we would term the ingredients or the curriculum. While our students may give us glowing and positive survey feedback, there is always room for improvement. A key element in determining program effectiveness begins with developing meaningful benchmarks. Gauging the Feedback. Receiving less-than-glowing feedback is difficult. We all want to hear that our products are meeting needs and we are achieving our mission and goals, but this isn’t always the case. Starbucks had been offering the same pumpkin spice latte for twelve years before last year they decided it was time to make some necessary adjustments. While sales of the beverage were steady, they challenged themselves to improve upon the product without alienating the consumers. Starbucks acknowledged that they collected data from various focus groups across the country and that while plenty of feedback was received not every comment required an action, but they did all need to be acknowledged. Part of an effective outcomes assessment plan includes gathering systematic feedback from students, but for a comprehensive picture, institutions need to be seeking input from all stakeholders. This includes Advisory Councils, faculty, employers, partnering institutions, transfer institutions, and even prospective students. While some of this feedback may not be able to obtained annually, it is feedback that can be gathered over a period of time and used during comprehensive program reviews. It is also helpful to weight the feedback received through a sort of feedback rubric. For instance, while student feedback is extremely helpful, institutions need to understand that their curriculum is relevant and this may determine that employer feedback for specific aspects of the curriculum might be given more weight in order to prepare students to meet the demands of the workplace. Gearing Up For Change. Change is never easy. Even when the change will bring about positive results. By nature, we do not like change. Do we like that our coffee has sugary syrup in it? No, but we are used to the flavor, the consistency is comforting so the thought of adding real pumpkin puree to a pumpkin spice latte can initially be difficult to swallow. This is why changes should never be implemented solely based on conjecture. Starbucks had years of data that they analyzed before realizing that the ingredients used in the pumpkin spice latte could be better aligned with a more informed consumer population. Consumers want their favorite guilty pleasure beverage to align with their lifestyle. They want to feel good about indulging and Starbucks had to find a way to deliver. This likely was not an easy decision, like we mentioned, consumers neither loved nor hated the beverage, it was average, but even at average sales were still good. Starbucks had to consider their partners and the costs associated with sourcing new ingredients. The same is equally true of institutions. Change is difficult. It is time consuming and tedious. And if enrollments are doing ok, it is easy to rationalize whether program changes are necessary at all. But just like Starbucks’ consumers, students want their education to align with their lifestyle and meet their needs. There are institutions who know this all too well. Many serve a student population who sometimes gets left behind because of accessibility or affordability struggles. We can develop the plan and gather the data, but sometimes the next couple of steps in the recipe are the hardest to follow-through. Keep in mind that recommendations or suggestions for changes that are determined from the data analyzed may not always result in big comprehensive changes. Sometimes the small changes create a huge impact. Case in point, swapping a sugary artificially flavored syrup for real pumpkin puree. Getting Buy-In. So now that we’ve made some decisions and accepted that change is inevitable, it’s time to get buy-in. Getting buy-in isn’t just about finding a way to make sure that everyone is ok with the pending changes, it is also a way to say “thank you.” Let’s think about it like this, when Starbucks decided to give the pumpkin spice latte a little pick-me-up, they wanted to make sure that consumers understood why. They worked on a clever marketing campaign, built the hype, and even did an early launch of the beverage for those die-hard fans who downloaded the “pumpkin spice latte fan pass” badge. Although the badge was available to everyone, for a brief moment in time, Starbucks was able to make millions of faceless consumers feel special. The marketing campaign centered on the fact that consumers spoke and Starbucks listened. They weren’t too proud to admit that even they had room for improvement. It’s important as institutions that we are communicating back to the students who invest their time away from family and limited financial resources, that their feedback is valued and valued to the point that changes are being implemented as a result. Now sometimes the changes that are needed may not come from students, but may be a result of shifts in the discipline or with employers’ needs. The principle still holds true. If institutions regularly communicate back to their stakeholders the improvements that have occurred because of the time they took to review courses, send an email, or fill out a survey, it is more likely that they will continue to provide feedback and in the end you will have established a collaborative outcomes assessment culture. Going the Distance. Ultimately, outcomes assessment is truly about serving people better whether you’re Starbucks or a higher education institution. Sure it must be done for compliance purposes, but that is just a benefit of a thoughtful and comprehensive outcomes assessment program. The true reason for taking the time to implement an effective plan all comes back to the institutional mission. An institution cannot hope to really know whether students are learning or whether they are really earning their tuition unless benchmarks are established, gathered, measured, analyzed and finally, implemented. Starbucks is a successful international company. No doubt, they could have kept their pumpkin spice latte recipe the same and continued to build brand loyalty. But if they did that, were they really serving their consumers well? Would they feel good about the quality of their products associated with the brand they worked so hard to develop over the years? Even after changing up the recipe, the work for Starbucks does not stop there. They must continue on to the next drink, the next breakfast sandwich, all while continuing to monitor the performance of the pumpkin spice latte. So too must institutions. We may be convinced that the changes implemented were necessary and anticipate a successful result, but we will never know unless the assessment cycle continues. Institutions are required to publish performance disclosures. Nationwide there is a call for transparency. Just like Starbucks posts the calories contained in every drink, institutions must post their performance measures so students can make informed decisions. But this is more than just informing the consumer, it is a form of internal measurement that institutions can and should use to continue to challenge themselves, like Starbucks, to reduce calories, use healthier ingredients, and deliver quality products. Ultimately, the recipe that worked for Starbucks can work for institutions too. It is important for institutions to positively stand out in this environment cluttered with accusations, competition, and noise. There are times when big change is needed and then, just like the subtle transition of summer to fall, simple changes can lead to great results. Outcomes assessment is about valuing students above trends and delivering consistency by improving quality. This weekend, the New York Times published an interesting article titled, “Packing Technology Into The Timeless Barrel.” Naturally, for those who know me, it peaked my curiosity. The article highlights Independent Stave, the world’s largest barrel manufacturer. This company was able to meet and respond to a significant increase in demand for barrels that are used to age wine, whiskey, and beer. It is no secret that “there’s a craft boom everywhere.” Along with this increased demand is a backlog of wineries, distilleries, and breweries all waiting in line for their next shipment of American oak barrels. Once upon a time, United States based wineries placed orders for French oak barrels believing that American oak barrels were inferior and if we are telling the truth, they were. Part of the problem was the quality of wood used to make the barrels which contained “imperfections because of frequent forest fires and arboreal diseases.” Many of the American cooperages were low tech and produced poor quality barrels. However, the sudden “bourbon boom of the last decade” brought a “technological revolution to American barrel-making.” American cooperages focused on using technology to increase the quality of the barrels they produced in order to take advantage of the growing demand. The story of Independent Stave is unique. Initially, they focused on making the staves that were then used to make barrels, but did not make the barrels themselves. Then in 1935, the Federal Alcohol Administration Act was passed which required all American whiskey to be aged in new barrels. A new consumer market appeared and Independent Stave stepped up to meet the need. Following Prohibition, consumption increased and so did the wineries and craft brewing industries. Even though demand was on the rise for barrels, French oak barrels were still preferred. This resulted in the need to investigate why American oak barrels were unable to meet the need. John Boswell, the grandson of Independent Stave’s founder and also an engineer decided to seek a solution. “He put quality-control systems in place, from random sampling to laser measures, to weed out low-quality logs. He started drying his logs longer” similar to how the French produced their barrels. The company slowly started reviewing its internal policies and procedures to find ways to make the process more efficient while producing high-quality barrels using American oak. Independent Stave worked with forestry experts to develop “more sustainable harvesting practices, which also made the business more efficient and brought in higher-quality logs.” They also decided to use science to their advantage which started with a “series of organic-chemistry symposiums” to seek feedback from industry professionals and academic researchers and partnered with universities who had strong wine and spirit making programs. The data collected allowed Independent Stave to integrate sensors that analyzed the wood for density and moisture content. “Instead of guessing how much to toast a barrel, operators use lasers and infrared cameras to monitor the temperature of the wood and the precise chemical signature that the heat coaxes to the surface—all subject to the customer’s desired flavor profile. Independent Stave was able to refine their processes, seize an opportunity to meet the needs of a rapidly growing industry, and put craftsmanship back into barrel making. Higher education is facing a similar shift in the student population, but this shift is also offering institutions a chance to maximize their opportunities. Much like Independent Stave, institutions must rely on their strategic planning efforts and monitor these efforts, but most importantly focus on their outcomes assessment to assure they continue to serve students well. With today’s technological advances, institutions can collect more data than ever that provides background on individual student’s potential success rate based on a variety of external factors. The question remains, are we listening? Independent Stave took three big steps that allowed them to reinvigorate their product and meet the needs of a rapidly growing industry. Higher education can apply these same three steps to determine how well they too are meeting the needs of a changing student population. Step Two – Scratching the Back of Others: In addition to researching its competition, Independent Stave knew that it needed a great deal of feedback and data. Instead of investing excess capital in building proprietary data analytic tools, they went the “old-fashioned” route. They sought out conferences, trade shows, and universities to absorb the knowledge these professionals and academic researchers could provide on the subject. They built relationships and, in time, these groups began providing valuable data that Independent Stave used to invest in computers, lasers, and sensors to enhance the quality of their barrels and improve the efficiency of the production process. Higher education institutions tend to act as singular communities that are completely self-sufficient. The problem with this approach is that they miss out on the wealth of knowledge available from seeking external advice and perspective. The smartest people are those who understand that learning never stops. Institutions should seek feedback from internal and external stakeholders in an effort to improve their programs and services. Step Three – Giants in the Market: Independent Stave did not experience success overnight nor have they stopped following the processes that have resulted in improving their barrels. They used their research and data to implement significant operational improvements. They understood the importance of sustainably harvesting quality logs used for their barrels. They invested in technology, not just for technology’s sake, but to better understand the industry and the consumers who would use their barrels. Ultimately, they took all of this information and applied it to enhancing the art of barrel making. They set the stage for cooperages nationwide to step up their game in order to also compete within the industry. They embraced the idea that “iron sharpens iron.” As a result of their hard work, American oak barrels are now also used in Australia and Spain. Higher education institutions share common goals and often share student populations. The quality of the programs offered is what sets each institution apart and separates the good players from the bad ones. Regardless of the differences, institutions are a part of the same community. Higher education has been the focus of regulatory challenges and negative attention, but collectively, we can work together to elevate each other. Many higher education institutions are seeking innovative ways to serve students and meet their needs. We should look to these institutions to see what works and how these efficiencies can better serve all students. To do this requires consistent internal reflection and evaluation. There are approximately only fifteen cooperages in the United States compared to the thousands of higher education institutions, but the principles of sustainability apply regardless of the industry. Those organizations and institutions that pass the test of time are also those who dig deep and always seek ways to improve their operating efficiencies and products they deliver. Independent Stave learned a real lesson early on, and that was a focus on its mission which resulted in consistent improvement. They were not seeking to be average, but to offer a product of superior quality that met the needs of their consumers. The same should be true for higher education. Quality improvement should not be a result of accreditation or regulatory requirements. It should be important to every institution for the very basic fact that we want to deliver quality programs that meets the needs of students In order to accomplish this, we need to know who else is doing it right, who else is collecting relevant data we use, and how we can apply it to ourselves. Because in the end, every student is different and deserves educational options that will meet their academic and personal goals. We encourage you to click the link and read the original New York Times article for further inspiration. Autumn, otherwise known as the long awaited Pumpkin Spice Latte season, is a nostalgic time of year. Whether the temperatures have cooled down or not, there are few things that signal fall like the smell of coffee infused with cinnamon, nutmeg, ginger, clove, and a sweet hint of pumpkin. The marketing geniuses at Starbucks understand how to build hype. Beginning in August, news media was all a buzz with the idea that the beloved Pumpkin Spice Latte was being refreshed. When the Pumpkin Spice Latte joined the Starbucks beverage lineup twelve years ago, customers rated the unique beverage in the middle. They neither loved it nor hated it, but surveys revealed that people loved the experience of the warm beverage. Starbucks worked on the recipe over the years, adjusting the spice and sweetness to strike the right balance while allowing the coffee to take center stage. After receiving feedback from customers and partners about their ingredients, Starbucks took a look at the ingredients used in the Pumpkin Spice Latte and this year, made its fall debut using real pumpkin puree and eliminating the caramel coloring. Prior to launching the recipe in stores, Starbucks invited a focus group to taste test the updated product. Much to everyone’s surprise, the Pumpkin Spice Latte tastes almost exactly the same which, according to Starbucks, was exactly the point. Peter Dukes, Director of Espresso and Brewed Coffee at Starbucks, said the goal was to make a “cleaner” version of the drink, not to reinvent it. Higher education is facing criticisms and feedback from students, politicians, and the public. With mounting scrutiny, it seems that comprehensive changes are needed across education. Sometimes; however, the most significant improvements are made from simple adjustments. Starbucks approached the feedback they received from a thoughtful perspective. They weren’t defensive. They listened to their customers, used data to understand the issues, and focused on the improvement needed to enhance their product. Starbucks could have gathered up all the feedback and counted up the negative comments about the Pumpkin Spice Latte and made an executive decision to discontinue the drink, but they would not have been addressing the real issue. Consumers are gaining a better understanding of ingredients and want transparency and simplicity. Students and the public want the same from higher education. It is often easier to jump into a solution that does not really address the problem. This is when a solid outcomes assessment program allows institutions to operate more effectively and efficiently. Outcomes assessment is often misunderstood and seen as a necessary evil for compliance; however, an integrated assessment plan provides a way to communicate student focus and promote institutional improvement. Starbucks not only released an updated recipe for the Pumpkin Spice Latte, but also provided a successful recipe for outcomes assessment. Gauging the Feedback. Institutions need to actively seek various stakeholders’ input. Receiving less-than-glowing feedback is difficult, but it’s necessary to improve. Starbucks has been offering the Pumpkin Spice Latte for twelve years and yet, there was still room for improvement. Starbucks had to analyze the feedback to understand the cause of the complaints. Not every comment requires an action, but they should be acknowledged. Getting Buy-In. Institutions need to proactively and clearly communicate the positive effects that result from the improvement. After Starbucks decided to improve the Pumpkin Spice Latte ingredients, they developed their marketing campaign. They communicated to its consumer base that their opinions were heard while delivering the same great experience PSL fans have come to expect. They were able to deliver the same experience while improving the inputs to deliver a better overall product. As the summer winds to a close, the temperatures have started to drop and schools are back in session. In Chicago’s West Loop neighborhood on Sunday night, the streets start to come alive with people looking to savor the last of the weekend before taking on the Monday morning grind. A line starts to form around 4pm at the corner of Randolph and Halsted streets. This particular restaurant doesn’t start serving food until 5pm, but the bar begins to fill up in anticipation. They don’t take reservations. It’s first come, first serve. Those who can withstand the wait are not disappointed. If you are fortunate enough to get a seat at the bar, you have front row access to witness all the magic this 1,400 square-foot restaurant has to offer. While the Beatles’ Strawberry Fields Forever plays in the background, you hear the sizzle of the griddle and watch 6 expertly built single and double burgers some topped with thick-cut bacon, others with a perfect sunny-side up egg, but all with butter toasted buns and a pickle spear. It’s nothing short of burger perfection. If you plan in advance and arrive around 4pm the wait is approximately 90 minutes. If you tend to be more spontaneous, plan to wait for three or four hours to experience a juicy single that is actually a double or a double that is actually a triple with perfectly melted cheddar cheese lovingly placed in between each all-beef patty. So why wait? Because the artistry and consistency of a perfectly crafted griddled burger from Au Cheval is worth the wait. Organizations such as Disney, Apple, and even your favorite neighborhood eatery specialize in delivering a quality product that meets an initial unknown need that builds a loyal consumer base, or, as Seth Godin refers to it, a tribe, people connected to one another who are connected to an idea. Tribes spread an organization's “why” which perpetuates the desire for that particular product or service because they believe in the organization’s mission. Every organization strives to build tribes that are willing to wait for the product they deliver, few succeed. The successful organizations have one thing in common. They have perfected the user experience. They consistently deliver products that meet consumer needs. Their focus is on identifying their consumer base and earning their loyalty by consistently delivering products that make their lives better. They never settle. They work to innovate and improve their products and processes. They are complex in their simplicity. They are focused. Not too long ago, students selected colleges based on their educational offerings, sports programs, or extracurricular focus. Now, higher education looks very much the same from one institution to another. Institutions are reaching for the same student pool without offering distinctive advantages. Higher education is shifting towards a one-size fits all approach. Students risk receiving a watered-down version of educational options that may not meet their needs or prepare them for a competitive marketplace. 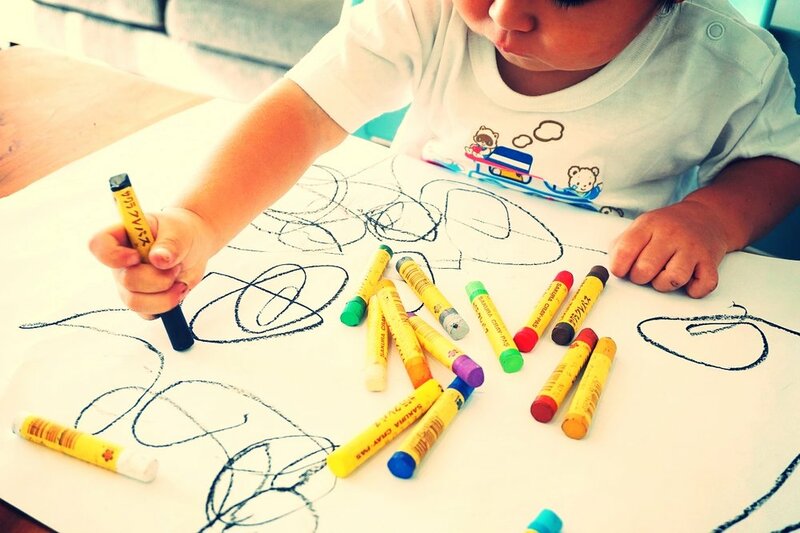 The artistry of crafting programs to allow students to innovate, explore, and nurture creativity are being replaced with programs developed to meet regulatory criteria and immediate marketplace needs. Students need educational options, but they need a product that is developed by institutions who are experts at delivering a unique user experience that is simple, affordable, and accessible. Students need to see the connection and importance of education beyond the next job opportunity. They need a foundation that promotes lifelong learning and the opportunity to participate in a higher education user experience that is worth the wait. It started with identifying a need and grew into a successful franchise with over 2000 stores. It required understanding the consumer’s wants, perfecting the product, delivering fast, and making it affordable. Yes, this is the story of a “freaky fast” gourmet sandwich company that started in 1983 with a 19-year old in Charleston, Illinois who knew that simplicity, consistency, and tenacity was all it takes to make a difference. There is a similar need not adequately being met within higher education. It’s a global desire for an education that provides real world knowledge capable of being delivered at an affordable cost and, in some cases, on demand. It requires a culture-shift to drive change. Outcomes assessment is more than just measuring and monitoring student achievement. A comprehensive assessment program provides valuable data that is used to transform how curriculum is delivered and demonstrate how educational offerings are meeting students’ needs. Often, we focus on barriers that are preventing change, instead of focusing on the areas for improvement. Simplicity. The pathway to education and earning a credential should not be hard. Educational options should be transparent and straightforward to allow students to make informed choices that best meets their needs. It’s important to provide options for students to validate learning that takes place inside and outside of the classroom. Consistency. Students want options, but also want assurances that institutions are providing quality education that meets the needs of a changing economy. It is higher education’s social responsibility to assure students that no matter the option, the quality of the curriculum delivered is consistent. Tenacity. Higher education needs to abandon the “us vs them” discrimination. For-profits, non-profits, public, and private institutions, they all serve a purpose and a specific population. Education is a collaborative effort directed to the same shared purpose of allowing students to receive the education they need to take care of themselves, give back to their community, and change the world. The goal is to become better for the sake of the students being served. Higher education needs to develop a new culture. A culture that understands its students’ goals and provides options, not obstacles in attaining them. When you identify the need, simplify a solution, and refine the process; the desire and passion to improve is a natural result. What are you delivering to meet students’ needs? What Happens When the "Business" of Schools is Not Student-Learning? The answer to the title question can best be answered by asking the same question about Apple. What would happen if Apple stopped focusing on consumer experience and product quality? First, there would be gasps and outrage heard around the world. In short, this disappointment would be followed by several tech articles written about the lack of leadership by Tim Cook, their stock price would plummet, and they might go out-of-business. However, based on Apple’s Live event on September 9, 2014, it reinforced the company is still in the innovation game and demonstrated unwavering focus on being able to deliver an unparalleled user experience to the masses. Critics attribute Apple’s success to luck or chance, but this is just a tall-tale told to shift the focus from Apple’s real reason for success which is grounded in their purpose, consumers, and commitment to being better than themselves, not just better than their competition. So why have the gasps and outrage about education seem to have fallen on deaf ears? Has the focus of education shifted to big business? This is not just a question posed to for-profit schools, but for public and private schools as well. There are no exclusions in this discussion. One can find a continuous stream of articles which highlight the opinion that schools have stopped focusing on education. It’s absurd to even read that statement, but it seems to be true and there are no shortage of examples. From schools licensing their brands to Jell-O, duct tape, and fragrance lines, it’s no wonder that education itself is an after-thought instead of the primary focus for schools. It seems education has succumbed to external pressures and the results of this shift is fostering negative results. Students are not adequately prepared for current and future marketplace needs, increasing tuition costs, and a lack of quality academic education. It only takes a quick survey of several schools’ mission statements to see that focus has shifted to other social aspects and is no longer centered on the core needs of students. The justification for this change in purpose centers on the increasing costs to retain quality faculty, to integrate modern technology, to provide broader educational resources, and improve research facilities. To fund these additional projects, schools have turned to licensing their brands, increasing alumni or booster events, and focusing on building the school’s perception in the marketplace. Many campus-based schools have also advanced into online education in hopes of attracting more students to increase revenues without having to build additional infrastructure. While all of this is not bad in and of itself, if not monitored, it takes a dangerous shift away from academics and moves the focus to the business and profitability of education. Schools need to take time, re-focus, and circle back to their mission of educating students. There are three steps schools can take to ensure their focus is on education first with all other areas becoming supporting roles. The Why: Schools need to take time to have a meaningful discussion with various stakeholders on their purpose, their passion, and their mission. A school without a focused and specific mission will miss their “why”. What is your school’s purpose? The How: Schools need to ensure that their mission statement drives their strategic planning to demonstrate how they are effectively meeting students’ needs. It’s not good enough to simply state, we teach students. It’s important for schools to focus on “how” well they educate students. How effective is your school’s Outcomes Assessment Plan? The Need: Schools need to understand the current and future needs of the marketplace. Without understanding how education is being used by students or the growing needs of employers, then the mission cannot be achieved. What marketplace needs does your school prepare students to fill? This information is neither new nor innovative nor a total solution, but it is an opportunity to begin again. It’s the place Apple came to back on December 21, 1996 when it re-hired Steve Jobs as part of a plan to turn the company around. Jobs originally hired John Sculley as Chief Executive Officer in 1983, but the two had conflicting visions for the future of Apple and differing management styles. Jobs was subsequently ousted in 1985 from the company. Apple’s Board of Directors believed Sculley, as CEO, was in a better position to lead Apple. Sculley’s focus for Apple was on profits; however, after a consistent decline in revenues and lack of innovation, Apple realized the need to re-evaluate its decisions. Apple brought Jobs back to provide leadership to realign the company with its initial focus which continues to be consumer experience and product quality. What happened to Apple was not so different than what is occurring in education. In an effort to be the solution to all problems, schools are operating more as a company and the “business” of educating students has taken a back seat. Now is the time for change when the public is demanding accountability, the government is seeking proof of academic quality, and students want to understand why they are unable to secure meaningful employment. It’s time to step back and strengthen the mission, understand students’ needs, and bring back innovation within education to make schools better than themselves. Farmers and educators have more in common than one may think upon first reflection. They are both humble professions, unsung heroes, and have the biggest impact on civilization. A farmer is responsible for ensuring high quality yield of food or animals for mass consumption. An educator, or more broadly a school, is responsible for providing students with high quality curricula and services while ensuring benchmarks are met to remain sustainable in the market. Recently, there has been a shift from enrollment-focused metrics to completion metrics due to the use of government subsidies. Tax payers want schools to be accountable for the resources made available to them for students needing assistance in achieving their educational goals. They want to see tangible evidence of their return on investment. Schools can offer this peace of mind through outcomes assessment plans. Outcomes assessment is not unique to schools. In order for farmers to be successful they must perform continuous evaluations on themselves, their crops and animals, their production, and their bottom line. Similarly, schools must consistently monitor outcomes, regularly review and update their curricula, and evaluate their sustainability to meet the growing demands of all stakeholders. Outcomes assessment is one of the main areas in which schools falter. By the time a school experiences challenges, it’s generally gained attention at the national level and not presented in a positive light. So how do we reclaim the position of leaders in outcomes assessment and make it a part of every institutional process? The answer: by using a farmer’s perspective and approach. Got Dirt? – Farmers need good soil just like schools need to have a solid foundation. A school can have the best student services, the most responsive admissions department, and the brightest faculty, but if it doesn’t have quality curricula which guides students in the attainment of the knowledge, skills, and abilities necessary to be successful, then the school has bad soil. Similar to a farmer who has to rotate his crops to ensure nutrients are restored again, schools need to consistently review their curricula to verify they are providing the “nutrients” students need to be successful. Got Water? – Farmers are constantly watching the weather. They are forced to make critical decisions based on past, present, and future weather conditions. The same can be said for schools. Schools need to be acutely aware of their target population and the external factors which are occurring not only within regulations, but also within the job market. Educational programs are designed to provide students the education needed to be productive and contributing members of society. In order to remain competitive, schools need to look to the past and present in order to make predictions on the needs of the future. For both professions, this can be high-stakes gambling. Farmers and schools are required to make decisions based on circumstances out of their control. Schools need to be able to adapt. This is made easier for those schools who have implemented an outcomes assessment plan. The plan provides the guidance necessary to eliminate some guesswork and make informed decisions. Got Tools? – Advancement in technology has provided farmers with tools and equipment to work more effectively and efficiently. With the increase in technology was an increase in population; however, without these improvements farmers would not be able to meet the growing public demand. Schools experience this same struggle with innovation and use of technology. While technology has brought improved instructional delivery, faculty interactions, and accessibility, it has also brought an increased demand for accountability. New tools and additional equipment are welcomed by both professions, but the struggle now is over their most effective use. Schools need to be able to evaluate their student population and services in relation to the tools and technology it uses to deliver its curricula. The use of technology in education needs to be meaningful. Ultimately, to be successful in either profession it takes full commitment and hard work. The recipe for success is 1) a quality foundation, 2) ability to adjust to external factors, and 3) consistent evaluation of processes and procedures. Most schools that fail, do so because they lose their focus and purpose, but mostly because they stopped critically reviewing their programs and services thinking they are “good enough”. Just like the farmer needs to be consistently vigilant in protecting his crops against threats, a school must be just as vigilant to ensure its continued growth and sustainability. A school’s graduates are its biggest advertisement. A graduate’s success is equivalent to the prize bull winning a blue ribbon at the state fair.